When Namrata of Bagstock Designs asked if I could test her new tote bag pattern, I said yes immediately. 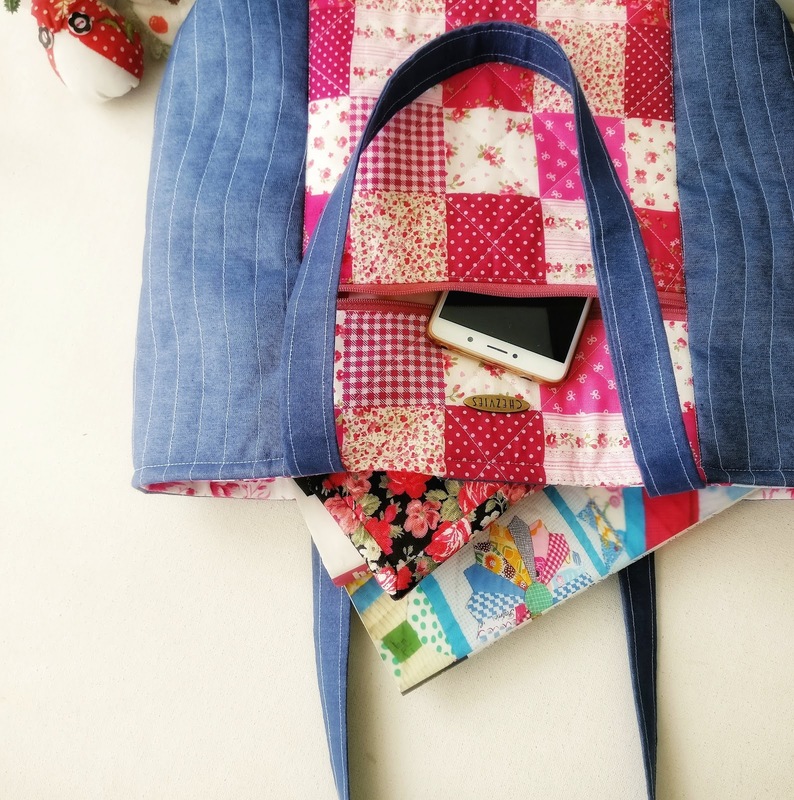 The Pelican Tote bag is an easy beginner pattern. When I saw the design, I wanted to do a quilted one but I didn't have much time left after finishing my last orders of the week. Luckily I have a patchwork print fabric and decided to use that instead. I did a simple diagonal grid line quilting on the pink fabric and wavy lines on the denim. The denim I used here is a lightweight denim. The pattern is very easy to follow with clear photo step by step instructions. The bag size is also perfect at 15” W x 12” H x 3" D.
. Though it said to be a market tote, but I think it will be good as college tote or maybe a diaper bag. It has a front zip pocket, interior zip pocket and a magnetic snap closure. Easy and Quick project. 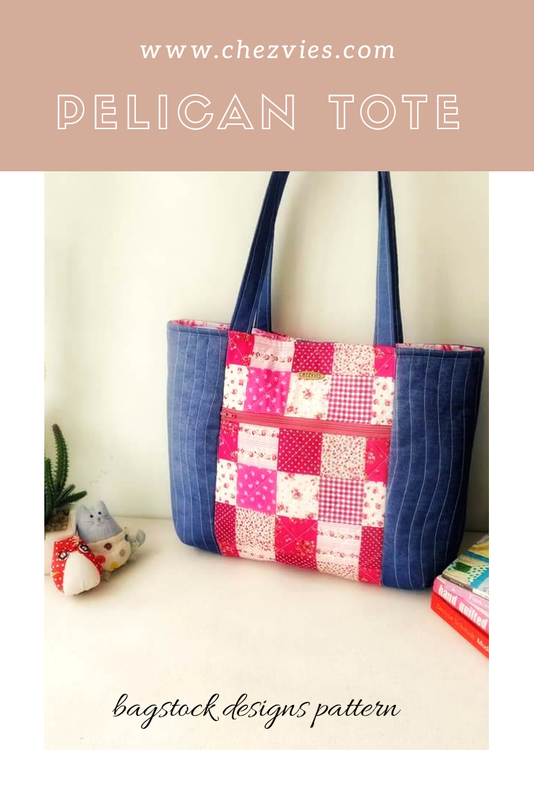 The pattern is FREE and is available at Bagstock Designs Website. 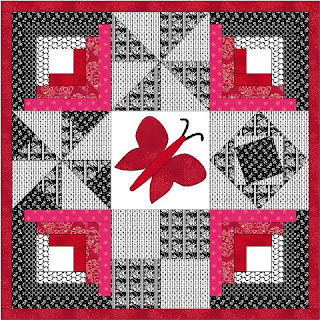 Sonalee made this beautiful tulip quilt based on tutorial by the Missouri Star Quilt and the photo she posted on her Instagram even got re-posted! How cool is that!! The color is just perfect for summer quilt! Rashida from No3 Quilt studio is having a quilt a long on her blog. And I really love this blog. 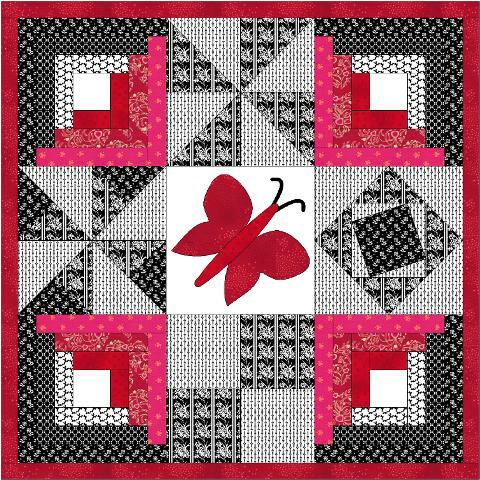 If you want to learn the basic of quilting, run along and check her blog. Who knows you might even won the prize!! Julie of Sum of Their Stories shared this quick Play mat tutorial. It's a perfect stash buster project and a perfect gift to make for a new mom! If you need one, go ahead and check her blog. Julie's blog is one of my personal fave. She shared all kind of tutorials with gorgeous photos. It's like a cozy home!! Congratulations to all of you! Do share in your social media account that you're being featured <3. Spread the love!! Now, it's your turn to share happiness. What is this linky party about? This linky party is some kind of show and tell party, whether you do it as a hobby or as a mompreneur. BLOG – do link up your blog if you have one , anything from new product release to behind the scene story, tutorials, etc. Facebook Page – New products from your FB business page. Instagram – if you play more in Instagram, you are most welcome to share your latest creations. Etsy Shop or other webshop - show off your latest listing. Submit your link by clicking the blue button under each handmade happiness’ post. If you submit your blog post , please submit your BLOG POST URL and NOT the blog URL. Visit some of the links that catch your eyes. Give them a comment or a heart to encourage them. Be generous. If you don’t want to miss another link up post, it’d be great if you subscribe to my blog (form on the right panel). Do share the Handmade Happiness post in your Social Media account, sharing is caring :).